The increasing use of the body for embedding technology as well as the convergence of multiple features in mobile telephony have made image capture an important phenomenon that presents new ways to capture events and their constructs, which cast new forms of gaze into everyday life. The ways in which one captures and gazes has increasing ethical, legal and social implications for societies. The civilian gaze through mobile recording devices can be empowering in terms of holding authorities accountable, but it can equally debilitate societies by transgressing privacy and enabling new forms of voyeurism and deviance. In recognition of this, many governments and authorities are restricting the ways in which we capture and upload images. This paper looks at how this image economy is creating new ways of looking and how the new rules are, for different reasons, seeking to curb this architecture of capture. The increasing convergence of technologies and ability to make connections with the wider world to communicate, upload and download images through mobile telephony is creating new ways to connect with people and create content. The convergence of technologies, the ubiquitous use of mobile phones and the increasing ability for users to express themselves both discursively and through images have created new information and exchange economies. The ability to create content and to contribute to media event construction through visual and discursive content has given rise to discourses about citizen empowerment and the rise of citizen journalism. This has inspired a proliferation of academic writing that has been assessing how these user practices - whether it be blogging or creating videos and images - are leading to new forms of journalistic practices and networks as well as new forms of consumption which often blur the boundaries between public and private realms (See Black, 1997; Friedland, 2003; Haas, 2007). The conjoining of the private and public spheres is a resonant strand of the new media environments. The new media environment can be defined as one that includes the internet, the content of the World Wide Web, as well as a multitude of applications, features and modes of communication (synchronous, asynchronous, and one-to-one as well as one-to-many) available on these interactive platforms and which can be made available and accessible on mobile technologies through convergence. The ability of mobile users of telephony to connect with public platforms with ease and without restraint constructs a postmodern culture of making connections not just through voice telephony but also discursive modes such as text or emoticons and perhaps even new forms of collectively understood languages and moving and still images. The ability of people to capture images on the move and to exchange them through mobile telephony or to make them available in public platforms such as the internet has established new forms of production and consumption economies, but these new forms of image capture and exchange have had moral, ethical and legal implications for society, too. Beyond raising the spectre of voyeurism and creating new forms of aesthetics, the notion of capture and new forms of gaze enabled through convergent mobile technologies is never complete in our accelerated modernity. Whilst non-consensual photography is not a new phenomenon, with the advent of new technologies and convergence, the means of capturing and distributing such images have become more sophisticated and instantaneous (Kelley, 2007). 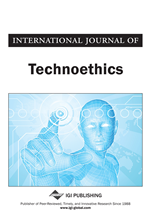 This paper explores the notion of looking in our post-surveillance society, as surveillance through convergent technologies becomes an open-ended exercise where looking is not just one-dimensional and moves beyond the Foucauldian notion of surveillance as a form of discipline. In post-modernity the politics of looking becomes multi-dimensional, non-uniform and can lead to unexpected consequences. With the increased embedding of video recording functions in mobile telephony the act of looking becomes complex in the post-surveillance network where CCTV cameras coexist with mobile bodies which can record images and events on the move. Unlike surveillance equipment installed by governments and authorities these provide new opportunities and risks which can both empower and debilitate society. I argue that mobile telephony conjoins other mechanisms of looking and tracing data in a surveillance society to form a surveillance economy that can create new forms of voyeurism, aesthetics, as well as vulnerabilities which will reframe certain forms of image capture and consumption of these images as deviance in society. In tandem with this, authorities in different parts of the world are enacting new ways to control the ways in which people capture, upload, download, consume, exchange and archive images.